Liquid Screeding has increased strength and durability over traditional flooring methods. 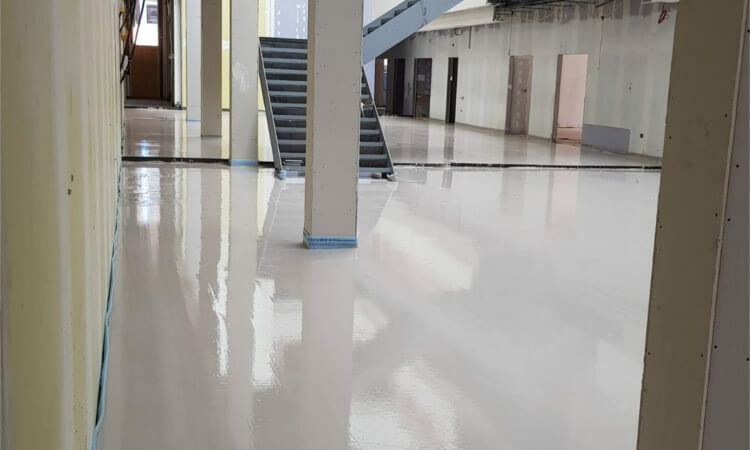 Providing a smooth and even surface ready for additional floor finishes its quick drying properties and the ability to pump it to the floor make it a quick and effective screed solution. Large areas of flooring can be covered much quicker than traditional floor Screeding methods covering up to 1000sqm compared to 200sqm in a day. Not only does this provide flooring ready for the top layer quicker, it also reduces labour costs to get the liquid Screeding laid. Liquid Screeding is made from recycled materials helping to reduce its carbon footprint. Anhydrite liquid screeds provide benefits with speed of installation, quick drying times and thinner leveling depths. They also provide excellent acoustic and thermal performance making them the ideal match for use with underfloor heating. The high conductivity of Anhydrite Liquid Screed improves the performance of underfloor heating and provides a perfectly flat finish for the chosen top floor layer to be added. Flowing cement based screeds have all the main benefits of liquid screed including speed of installation, quick drying times and the ability to be laid at thinner depths than traditional floor Screeding. 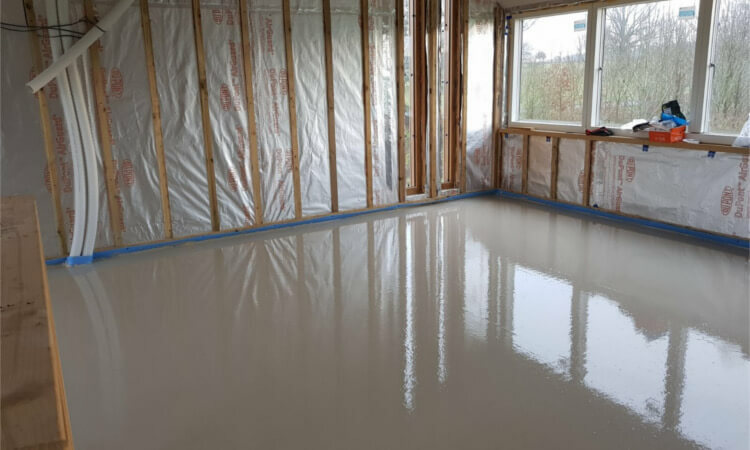 Cement based liquid screed presents less risk of chemical reaction and is water proof perfect for use in applications where water may be present such as wet rooms. Ascus Screeding Ltd has over 40 years of combined experience within the construction industry providing a wide range of services.